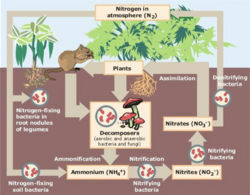 Nitrogen fixation is the process of taking nitrogen from its atmospheric form (which is unusable by plants) and converting it into nitrogen compounds (like ammonia, which is usable by plants). Nitrogen fixation is performed naturally by different bacteria. Microorganisms that fix nitrogen are called diazotrophs. 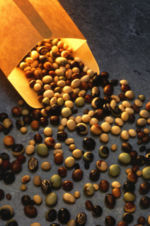 The most common plant that can fix nitrogen are plants of the legume family, but some non-legumes can fix nitrogen also. Legumes make up the vast majority of nitrogen fixing plants. 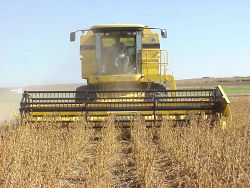 Many legumes are important crop species, such as peas, beans, peanuts, and lentils. 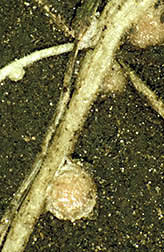 Legumes are the most common nitrogen fixing plants because nitrogen-fixing nodules are able to grow on their roots. These nodules are Rhizobium bacteria molecules, and they are some of the only organisms that fix nitrogen. (Purves) Legumes are an important part of farming, because they replenish the nitrogen in the soil. Although most nitrogen fixing plants are comprised of legumes, there are some organisms that can fix nitrogen that are not legumes. These organisms include 22 different genera of woody plants called actinorhizal plants. Along with these plants, a lot of these non-legume nitrogen-fixing organisms are cyanobacteria, which are found in a variety of land and sea habitats. Another plant that can fix nitrogen is the Azolla fern, which is the only fern that is capable of this. It can fix nitrogen because of a symbiotic relationship with cyanobacteria. Although nitrogen-fixing plants that are non-legumes are uncommon, they still are important for the survival of other plants that cannot fix nitrogen. Purves, William. Life the Science of Biology. 2005. Couriers Company Inc. This page was last modified on 19 March 2012, at 20:06.